I received an email on Saturday informing me that one of my short stories will be published in the January issue of Pilcrow & Dagger magazine. Pilcrow & Dagger started off as an online community for writers offering tips, tidbits, inspiration, and encouragement for their writing. But once they started to get more popular they decided to start releasing a newsletter, then an anthology, and now they do magazines. The whole community there is by writers for writers, so I am extremely happy that they accepted my story. Their January issue is “Fairy Tales and Fantasy”, so I submitted a story called The Twin Knights. It’s one of my favorite short stories and the first bit of writing I did once I started to entertain the idea of being a writer. In case you didn’t get it, I am absolutely thrilled at this news. 2: The Creative Writing Institute’s anthology is official out! 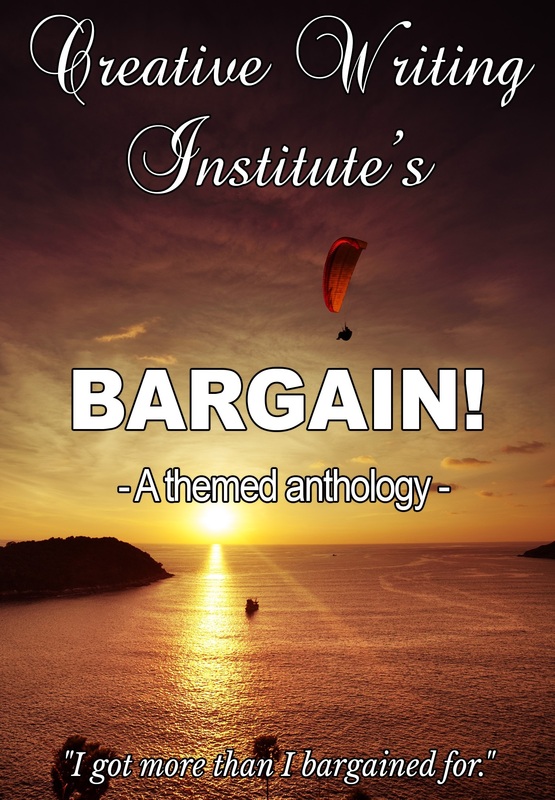 Titled, Bargain, it’s an anthology containing 30 short stories by 30 diverse writers from all over the world. Almost every genre is represented within, and all proceeds from the book go to helping cancer patients pay for writing courses. My story, A Rough Goodbye, is tucked within it’s pages waiting to strike an emotional cord in anyone’s heart who reads it. Check it out! 3: The Ecotones Anthology is official out TOMORROW! It’s been a long time in the works and lots of people got involved to back it on kickstarter, but the wait is over! On the 15th, Ecotones will be available through Amazon or SffWorld.com‘s website. Backers of the project will get theirs in the mail in the coming days thank to Andrew and his tireless skills behind the scenes. This looks to be an incredible book that I can’t wait to sit down with. I highly encourage you to do the same. That’s all the news I have for now. With my laptop back in action I’ll be cranking out more updates soon! Stick around for continued awesomeness! Peace!